Disputes in business are a fact of life. While our firms attorneys counsel our clients to avoid litigation whenever possible, sometimes litigation is inevitable. This is especially true when our clients rights are infringed upon by an aggravating party. When needed, our attorneys are ready, willing, and able to prosecute our clients claims and defend their legal rights in State and Federal Courts throughout the State of Florida, as well as in Arbitration. In fact, our firms Managing Partner, Richard B. Warren, Esq., has been recognized as a Board Certified expert in the area of Business Litigation by the Florida Bar Association. 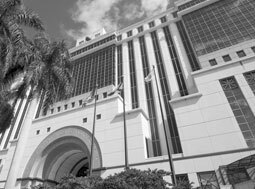 Only 6% of eligible Florida Bar attorneys, approximately 4,600 lawyers, are Board Certified. In Florida, only Board Certified lawyers are permitted to refer to themselves as “experts” or “specialists”. Board Certification recognizes an attorneys special knowledge, skills and proficiency in a specific area of law and professionalism and ethics in practice. Built on this foundation, our firms attorneys have wide-ranging experience representing our clients in commercial litigation matters in the areas of business disputes, collections, Landlord / Tenant law, real estate, construction, contracts, mortgage foreclosure, promissory note enforcement, lending, securities, fraud, conversion, home / property owner associations, and condominium owner associations. 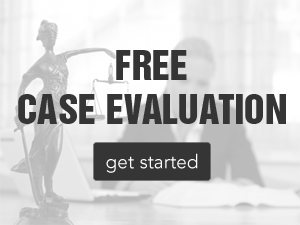 If you are party to a dispute and would like to discuss your situation with a member of our firm, please feel free to contact us today for a free case evaluation. About Warren & Grant P.A. Drawing from a longstanding tradition of excellence, we offer clients a unique approach to solving complex legal problems, combining unparalleled talent and judgment with personal attention and reasonable rates.